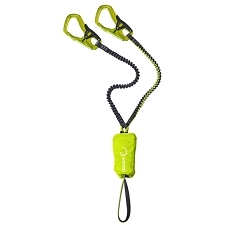 The Kinetic Rewind includes 2 Hercules carabiners and an energy absorber. 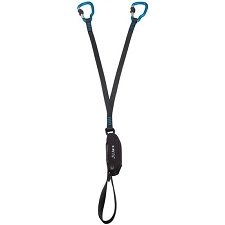 It has a Y construction that allows both carabiners to be fixed at the same time for maximum safety. 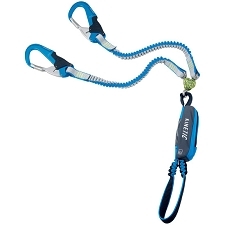 The Rewind system allows the length of the slings to be adjusted so they don’t bother the user. 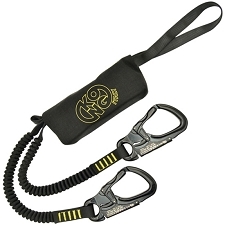 The Hercules carabiner is designed for use in vias ferratas, and adventure parks. 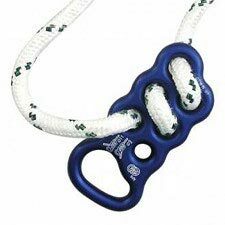 It’s wide opening and strength allow anchoring in even thick stemples. 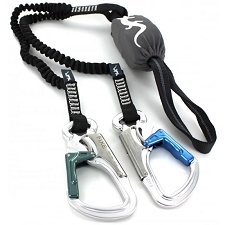 The automatic lock opens by squeezing the carabiner and pulling the gate making accidental opening impossible. The main body and the gate are made of aluminium while the release lever on the back is constructed from stainless steel. 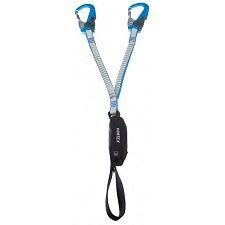 For use in vias ferratas. 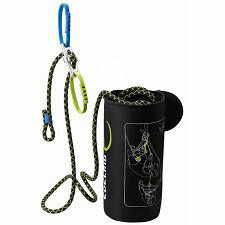 Hercules carabiners with automatic locling system. 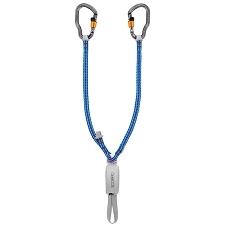 Carabiners with 23 mm maximum aperture. 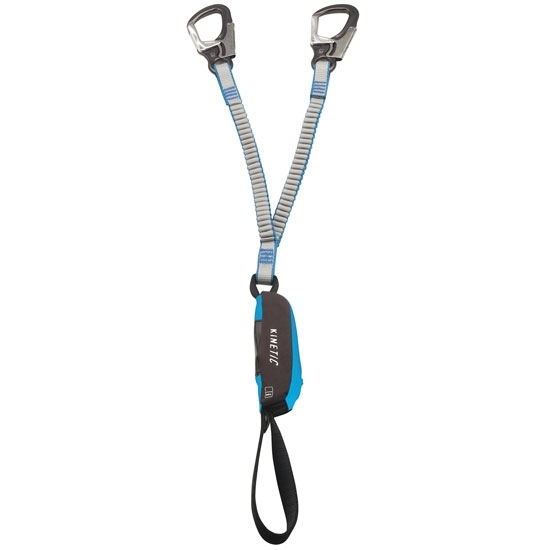 Rewind webbing lanyards stay compressed and out of the way while climbing. 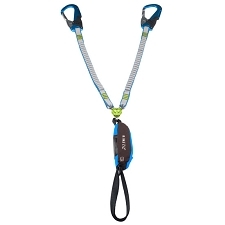 Lanyard length 85−120 cm. 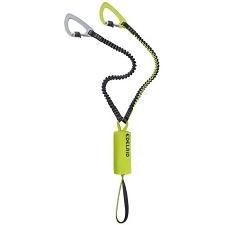 Stitched shock absorber is lightweight and compact. 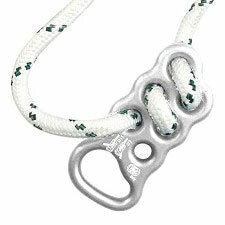 Safety certificates: CE EN 958 y UIAA.